7-month-old baby boy, Yashank, was diagnosed with Congenital Heart Disease a month ago and was asked to undergo a heart surgery. 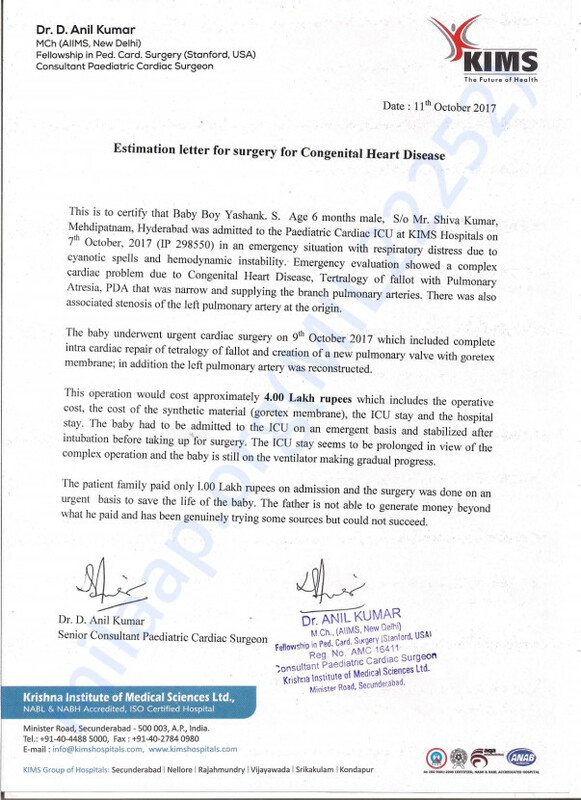 Since his parents, who have a monthly income of only 20000 Rs did not have the funds to pay for their baby's surgery amounting to around 4 lakh Rs, the surgery could not take place at the earliest. 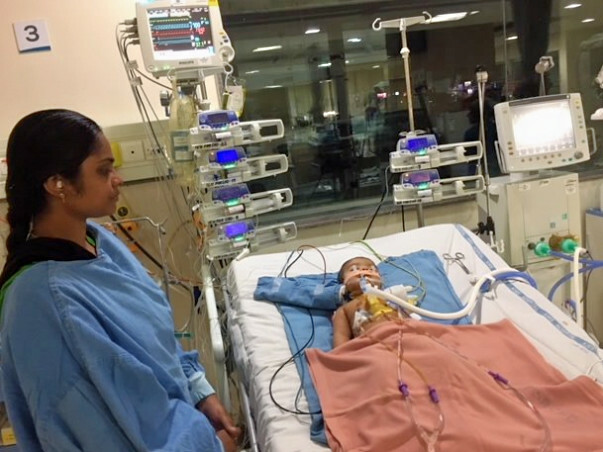 However, things took a turn for the worst on the 7th of October, when Yashank was rushed into the ICU as he was unable to breathe. Doctors felt there was no time to waste and had to immediately do a surgery on his heart to save the baby's life. Now, Baby Yashank is still in the ICU on ventilator support and will need to remain so in order to get the treatment he deserves to survive. 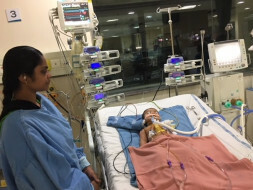 Yashank's father, Shiva Kumar, is not only worried for his son's life but now has the added pressure of paying the bill both for surgery and supportive treatment which could potentially save his son's life. Shiva has tried everything but is unable to raise the funds to save his son. He needs our help to bring his 7-month baby back home. Your contribution can give Baby Yashank the life he deserves. Here is an update on Yashank's health. He is doing better now. He underwent the surgery on the 9th October and was in the ICU until 21st October under observation. He got discharged on 25th and the doctors are very happy with the response he has shown to the treatment so far. He has follow-ups scheduled once in fifteen days and based on the health the doctors will suggest the future course of action. Thank you all once again for all the love and support you have shown Yashank. Please do pray for his speedy recovery. you are a fighter and you will recover soon. May god bless you. May god bless the baby and he will come out of surgery successfully.